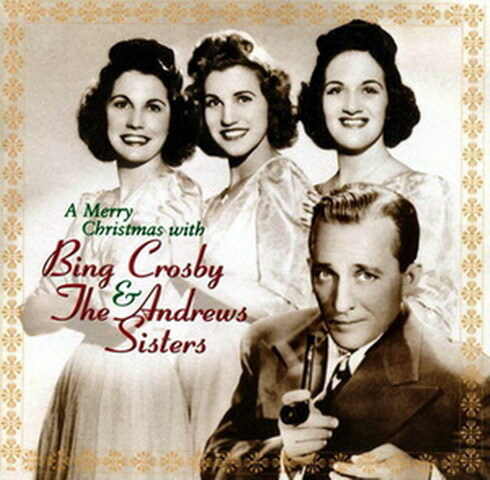 Few male-female vocal pairings of a holiday nature summoned the festive and the reflective spirit of the season alike with more grace and conviction than that of Bing Crosby and Andrews Sisters Patty, LaVerne and Maxene. This 20-track collection contains all six of the wonderful Crosby-Andrews Sisters pairings on record, a couple from 1950, the others from the ‘40s, dating back to 1943’s double-sided gold-certified hit single, “Santa Claus Is Comin’ To Town” b/w “Jingle Bells.” Of note, the latter tune is a wonderful, jazzy vocal set-to between Crosby, taking his opening turn at a brisk pace, galloping through right on the beat, followed by the Sisters, answering him with a more whimsical verse replete with a scatted phrase and playful frolics around the rhythmic pulse—a tactic Der Bingle then adopts when he returns to join the gals for the rest of the ride. Just as you will hear “Jingle Bells” with fresh ears as a result of the arrangement here, so the same applies to each tune to which the co-conspirators apply their vocal chords. Their 1949 rendition of “The Twelve Days of Christmas” has a simply infectious vibe about it in the obvious delight Crosby and the Sisters take in bouncing off each other’s ascending litany of gifts on each day in question; from 1950 comes a less familiar tidbit in the Jimmy Van Heusen-Johnny Burke delight, “Poppa Santa Claus,” an ebullient chronicling of a night when “the toys gave a party for Poppa Santa Claus” in which Der Bingle and the gals spice it up a smidgen with some rhythm-happy warbling, spurred on in this endeavor by the bouncing, swinging, horn-infused arrangement perpetrated by Vic Schoen & His Orchestra (which, by the way, provides the accompaniment on all the Bing-Andrews Sisters tracks); another ’49 track, “Here Comes Santa Claus,” the Gene Autry co-written warhorse, finds the dramatis personae in a frisky mode, improvising their own lyrics at points, now playing it lighthearted, now intoning a verse with solemn purpose, and Bing even dipping into crooner guise at one juncture, as Schoen makes good use of his woodwinds as a cushioning element in the arrangement, giving the track a warm, snuggly feel. Not least of all is another 1950 entry, the Hawaiian Christmas song, “Mele Kalikimaka,” a joyous celebration of a South Pacific Yuletide, complete with steel guitar flourishes and ukulele riffing amidst a western swing-influenced arrangement spiced with a soaring, brassy instrumental interlude at the halfway mark.